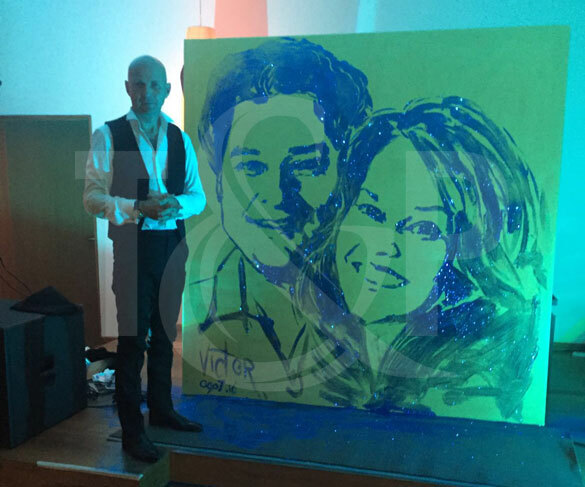 Viktor just came back from Austria where he performed his new act: A Gold and Blue painting. The perfect colors for an upscale wedding. All guests were totally conquered by his fabulous work at this prestgious 4* hotel and Spa. Viktor is a true speed painter who mastered the technique of speed painting. Nothing is impossible for this amazing fast painter. He works on international events for famous brands and television shows.